Thank you for completing the first step towards your registration. In order to access the website, you would require a password, which would allow you access to all the features and registered books on Primary School Chinese. IMPORTANT : Please note that if you close this window or migrate away from this page, your registration would not be complete, and your user details will not be stored. Access to the Book 1 interactive online Homework area. Access to the Book 1 online Support & Training area. A monthly training call from the authors. info@dragonsineurope.com to place an order. We will send you a textbook certificates and stickers by first class post. We will also send you a unique log-in code to access all the additional services. serve the needs of primary school children learning Mandarin Chinese at a basic level. 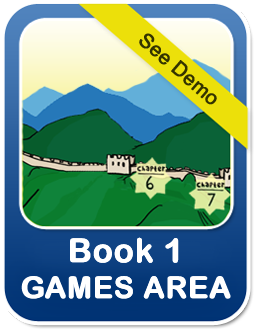 THE PRIMARY SCHOOL CHINESE BOOK 2 GAMES ZONE. The Book 2 interactive online Homework area. The online Book 2 Support & Training area. 9am-5pm support from the authors (through skype, email or phone). We will send you a textbook, certificates and stickers by first class post. 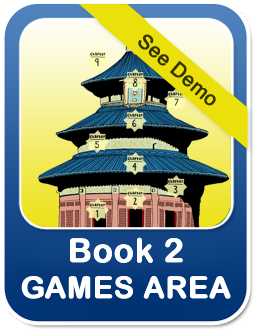 THE PRIMARY SCHOOL CHINESE BOOK 3 GAMES ZONE. 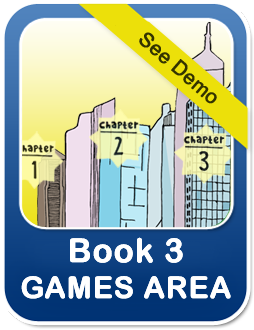 The Book 3 interactive online Homework area. The online Book 3 Support & Training area. In order to support the learning process, we have included a special Homework Zone. and who hasn't sent their homework! In order to support the learning process, we have included a special Support & Videos. 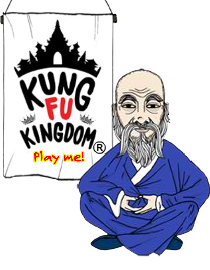 Chinese to a younger audience. - a monthly training call for all our customers. can contact us on 020 7228 8501 or info@dragonsineurope.com to place an order. A fantastic online library containing teaching videos for each Book and games area.